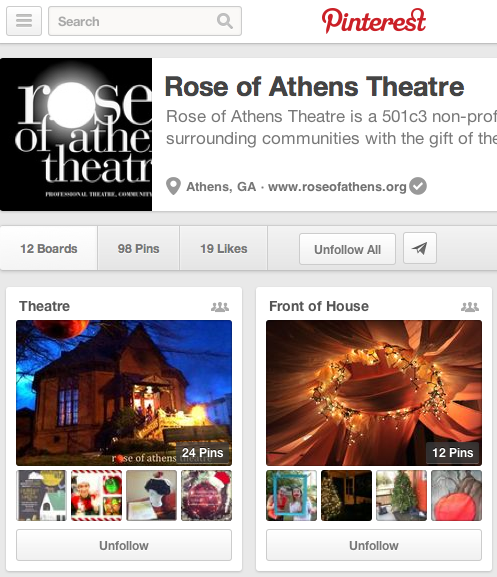 Rose of Athens Theatre creates vibrant professional theatre that inspires audiences and transforms communities. To create unique and idiosyncratic professional theatre in Athens, Georgia. To be a cultural and economic anchor for Athens, GA.
To create outreach programs which support our mission and goals. skills to youth and adults, which focuses on teaching the whole person. To integrate live, current Georgia music and musicians into productions. To utilize a lights-on-in-the-audience theatre style. December 1st 2006, was the theater’s inaugural production. The Bible: The Complete Word of God (abridged) written by the Reduced Shakespeare Company, revealed three actors who had researched the Bible, and proceeded to act out all of the stories, in two acts. This good-natured homage to one of the world’s most popular sacred texts was performed at Charlie Mustard’s Jittery Joe’s Coffee Roasting Co. on Broad Street. Rose of Athens Theatre’s productions have taken place at a variety of venues since December of 2006, including the Seney-Stovall Chapel, Ashford Manor (Shakespeare on the Lawn), Morton Theatre, and various other schools and community venues. We bring main-stage to main street. The world is our oyster. Now in its twelfth season, Rose of Athens Theatre productions include familiar and beloved stories, with fresh approaches to all. We like to surprise our audiences so that they may enjoy stories in ways that they have never dreamed that they could. 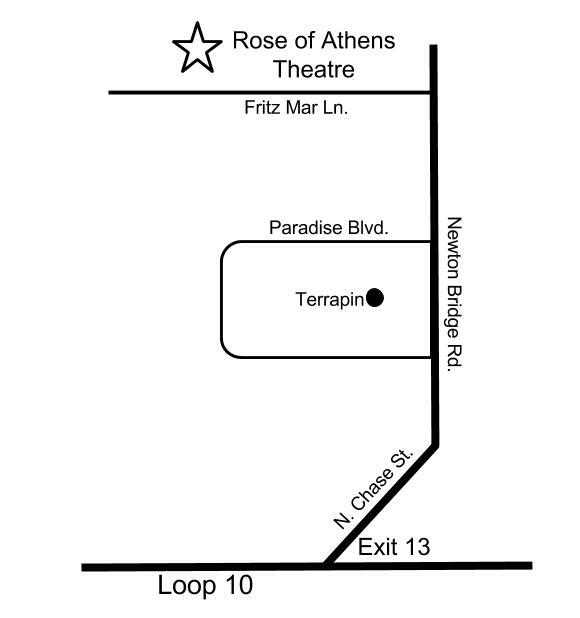 WHO IS ROSE OF ATHENS THEATRE, TODAY? One of the surprises is the music. 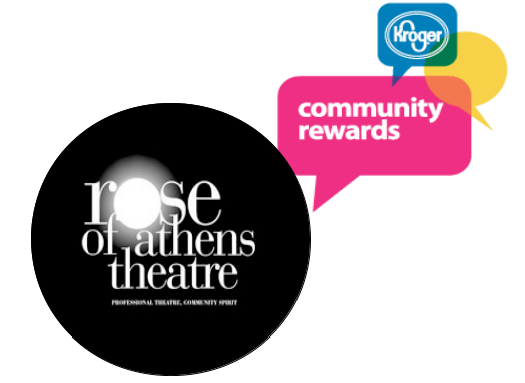 Athens is known for the quality of its musical artists and Rose of Athens Theatre to utilizes that unique strength. We have had a long list of musical artists who have composed and performed with each production, including Sean Arington, Jason Beckham, Christopher Henderson, Bart King, Patrick Ferguson, Marty Winkler. The music that they create underscores the action of the play and creates a rare experience for our audiences. We live in a visual society and communicating with “pictures” so to speak, makes an even stronger experience for our audiences. This is a chance to communicate on lots of levels, and it means that we increase the joy quotient! So, whenever possible we create prologues and internal dance, highly choreographed fight scenes and languid romantic dances, we have had some pretty impressive movement experts/choreographers working with us, Mirla Criste, Becca Woolbright, Jennifer Adams, Kimberly Faith Hickman, Rearcous Smith, Maria Moody and Julie Rothschild. Some of our favorites have been the incredible dance in Macbeth to the total percussion score by Patrick Ferguson. Also, the dance party at the end of Winnie the Pooh. Really, you can’t go wrong with a disco dance party in celebration of Winnie the Pooh’s birthday, can you? Lights on in the audience. We surprise our audiences by never allowing them to know where we will be coming from. We create theater that goes right out into the aisles, behind the aisles, in the balcony, in the audience. We aim for high theatricality and simple solutions to complex challenges. Rose of Athens Theatre Academy Classes. Our education programming has grown in leaps and bounds as has our community outreach and partnerships. Rose of Athens Theatre does both artists-in-the school workshops and performances for thousands of students each year alongside our general public performances. Our Academy classes, which mirror Ron Anderson’s “Life Skills Through Stage Skills” philosophy, increased enrollment by 130% from 2010 to 2011. Students Onstage Our training program comes to life, with the spirit of Life Skills Through Stage Skills realized in productions every season.